Returns 30 Days money back. Seller pays return postage. We are happy to accept return if you change mind but item still in unopened condition. We also accept return if item was defect. We do not accept return if item was used in good condition. Main device will covered by 12 months warranty. 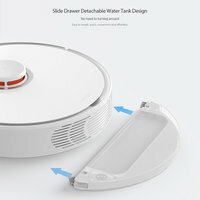 Accessories like main brush, filter, main brush cover, side brush were not covered by warranty. Sweeping + Mopping capability for a cleaner experience. 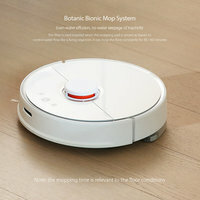 The Water tank is designed with the philosophy of botanical biomimetics, and together with the microfiber mopping cloth, they make home cleaning easier. Water tank is easily removable in the form of drawer. You can simply insert it to the bottom of the cleaner when mopping without the need to flip over the cleaner. Full coverage for complete cleaning high efficiency for faster cleaning sound planning for orderly cleaning. 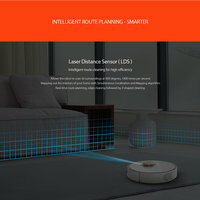 The high-precision LDS laser range sensor can scan the room at 5x360 degree/second for distance information, which will then be computed with the industry-leading SLAM algorithm to generate a real-time map. Based on the map, a route along edges first and then in Z-shape will be planned for efficient and complete cleaning. whether you want to clean a single room, all bedrooms or a small area, all you need to do is drag the cleaning frame on the map in the app to set a custom cleaning area. Tap the map in the app to send a command, and the cleaner will head to the target point and plan a route to avoid obstacles in the front. No map? 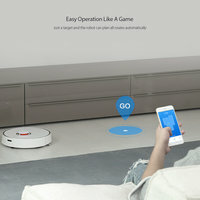 Just set a target point as you with and the cleaner will build a map in real time while moving. 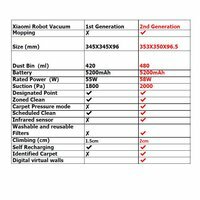 The cleaner can automatically identify the carpet and turn on the maximum suction to clean it. 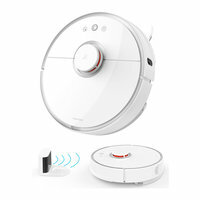 After getting off the carpet, the cleaner will automatically restore the normal suction. Washable strainer for easy cleaning. Great tangle-free design, say goodbye to the hairy problem. Infrared recharge signal can reach far to 4 meters, enabling the cleaner to locate the dock charger with high precision back the dock charger is equipped with impeccable over-current, over-voltage and short-circuit protection, and the low-voltage 20VDC power supply is harmless to both humans and pet. The product has not any available FAQ at this moment. (ABN 84 607 138 947) All rights reserved.